I saw one at the local hardware and had to pick it up. Put it in the screwdriver holder with the rest of the Craftsmans in the garage. I've always liked the Craftsman acetate handles when the size is right, some of the Philips have a smaller grip than I'd like but this one is just right. After looking up WF, I took a closer look at your picture and wandered into the garage. Yup, I have some also. Who knew? Looks like my 6 in 1's top comes off to store the bits vs. yours has the bits in the shank, though. 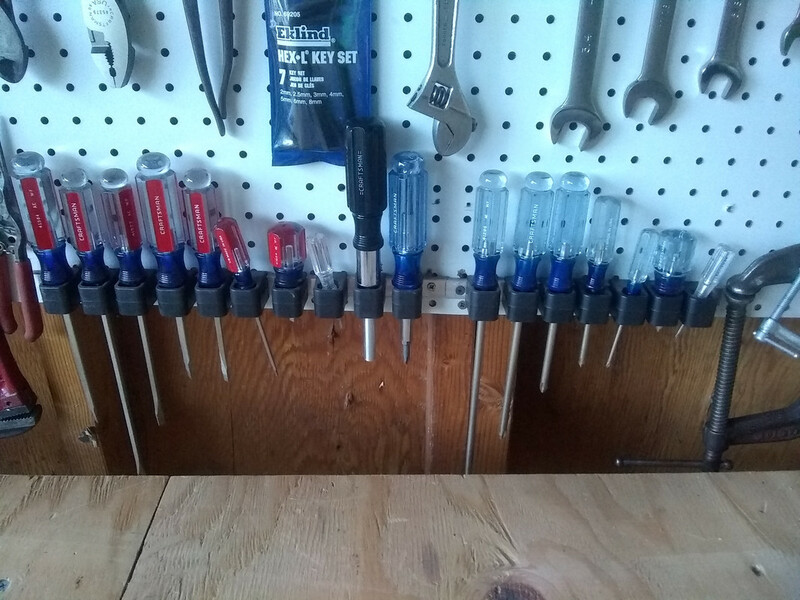 All the drivers on the pegboard are pretty new, the only old acetate Craftsman handle I have is my scratch awl and it doesn't smell for some reason. 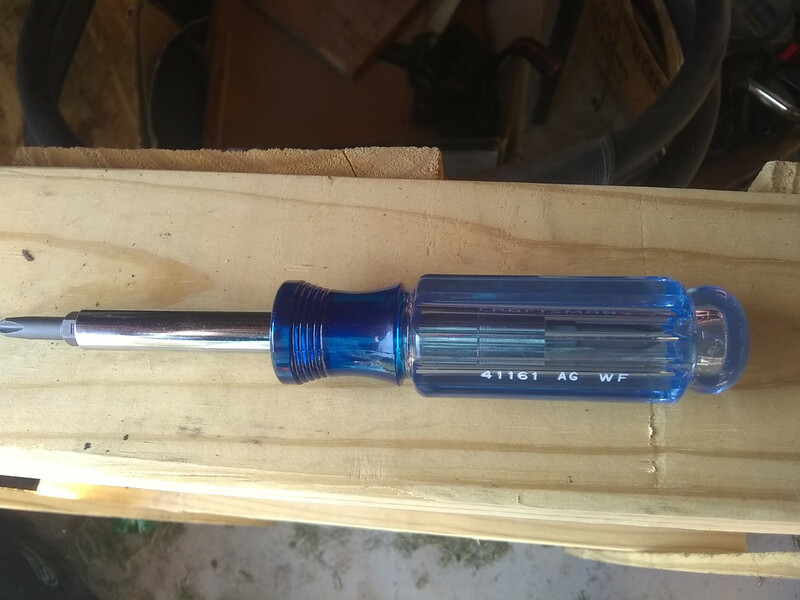 That WF ratcheting bit driver next to it came branded as a Husky pro with a huge handle so I replaced it with this Craftsman bit driver handle. As a Craftsman it would've come with the handle shown by torqueman2002. I had one in the farm truck box. it broke in the middle of the handle. Don't recall why. I epoxied back together. That was probably an interesting experience. I got my wife one of those and she loves it. She keeps it in the kitchen drawer. I rather like it myself. I've got other brands, but I do quite like the handle on this one. It's the shape I like In the size that this shape works best in. my most used that I carry at work was made by a company called AT&G, it's got the right balance of an easy to carry size and a grip that feels good in hand. I have several from different brands but I like this one the best. I should have gotten one for me. Your nearest ace hardware might still have them. I don't know if they're still being made it not. I know the local Sears stores have no had them for some time. But I suppose the actual inventory is determined by the department manager, store manager and possibly some regional manager. At one time there were no less than 9 Sears stores within about 1/2 hour give or take. No idea how many are still left but I do know some have been closed. But if I come across them I will snag what I can find. Me too! I think the brand I left for the lady of the house is a Greenlee. My mom has a cheap red Ace hardware 6 in 1 in the kitchen drawer. I used to carry an import version in my pilot's bag that had a variety of bits and 2 lights alongside the shaft and a fat rubber grip. Worked great but eventually fell apart.